Editorial note: As a physician trained to regard informed consent around pharmaceuticals, I believe there can never be too much information provided to women who must make decisions about exposing their future children to medications. The pharmaceutical industry and its minions were apparently so threatened by the article you are about to read that they devoted years oftrolling on my platform and also in media sources that you may think are beyond the reach of corporate corruption. Back by popular demand (and with even more primary medical literature links! ), here is the information they really hope that you never hear. There are very few absolutes in this human experience. This seems inevitable given our limited cognitive capacity to apprehend a potentially limitlessly complex reality. We are often wrong, never in doubt. It is perfectly okay to be wrong; in fact, that is what science is fundamentally about: a continual reckoning with inconsistencies and contradictions that reveal the tortuous path to truth. If we had all the answers, there would be no need for scientific experiments. What has happened to science, however, is thatit has become scientism, an ideological system of assumptions that render it dogma…complete with taboos that are never to be spoken of, addressed, or researched. The minds on the frontlines of research are strangled by government funding sources that prize profitable outcomes, by journals bought by industry, and by the reflexive moralistic condemnation of anyone seeking to make inquiries into the status quo. You can’t say that! Everyone knows HIV causes AIDS and then kills you! Since Gallo proclaimed HIV to be the cause of AIDS in 1984,1 you might be surprised to learn how many scientific questions remain unanswered. I want to zoom in on a population near and dear to my heart: women of reproductive age. As I watch pregnant women and their unborn be targeted for unstudied interventions leveraged by paternalistic medical practitioners who seek to co-opt these women’s inner compasses – to take advantage of their unstoppable will to protect their offspring – I see a pattern repeating in the sands of time. The lack of true placebo is also common practice in vaccination trials such as those for Gardasil, also marketed to women and girls. Because of this tactical strategy, high baseline rates of “serious adverse events” are dismissed as being “not statistically significant” since they occur equally in both groups – since both groups are testing drugs. In the HIVNET trial, “the rate of occurrence of serious adverse events in the two groups was similar up to the 18-month visit (19.8% in the ZDV group and 20.5% in the NVP group).” Wait – twenty percent of infants had serious adverse events?? Does that concern anyone?! I suppose not, if the “placebo” exhibited similar risk. Is HIV really a deadly diagnosis? Do we know that HIV causes AIDS? Similar to mental illnesses, AIDS is a syndrome of more than 25 diseases, not a disease entity itself. We risk tautology (saying the same thing in different ways) when part of the definition of AIDS is the presence of detected HIV antibodies, since a person with circulating HIV antibodies is not necessarily sick, nor do we know that they will become so (since naturalistic studies that controlled for lifestyle factors such as recreational drug abuse, have not been done). Ultimately, since the diagnosis of AIDS has been defined by the detection of HIV antibodies, we have not needed to scientifically establish causality. You would be hard pressed to find a mechanistic study showing how the HIV virus translates into AIDS symptoms. Because of this lack of causality, two people presenting with symptoms of a given disease in the long list of AIDS-defining illnesses may be given totally different diagnoses. For instance, if one also happens to be HIV positive, they are labeled with AIDS, and the other is simply diagnosed with the presenting diseases themselves (ie Pneumocystis carinii pneumonia (PCP) or Kaposi’s sarcoma). The hexing power of the AIDS diagnosis is, of course, not to be lightly dismissed as we learn more about the power of the nocebo effect to negatively influence the immune system. And we cannot dismiss the myriad lifestyle and epigenetic factors that contribute to severe immunosuppression. We also know that this immunosuppression – including the syndrome characterizing AIDS – can emerge in the absence of HIV positive results (as studied in ICU patients, pregnant patients, and others).6 7 8 9 It turns out that the cause of low CD4 T cell counts and role of HIV in the destruction of the immune system (T cells) is still under investigation.10 Seems like there are some significant questions still remaining in the realm of causality. Not unlike revisiting the role of serotonin in theories of depression, or rogue genetics in cancer, our increasing understanding of the immune system as the connective tissue between the gut, the brain, and our hormones, begs renewed investigation into so many reductionist disease models. Is the treatment actually driving perceptions of the illness? “RETROVIR (ZIDOVUDINE, AZT) MAY BE ASSOCIATED WITH SEVERE HEMATOLOGIC TOXICITY INCLUDING GRANULOCYTOPENIA AND SEVERE ANEMIA PARTICULARLY IN PATIENTS WITH ADVANCED HIV DISEASE (SEE WARNINGS). PROLONGED USE OF RETROVIR HAS ALSO BEEN ASSOCIATED WITH SYMPTOMATIC MYOPATHY SIMILAR TO THAT PRODUCED BY HUMAN IMMUNODEFICIENCY VIRUS.” (PDR 1999). If HIV causes AIDS, why have thousands of AIDS victims never had HIV? Why have hundreds of thousands who have had HIV – for many years – remained perfectly healthy? Why does the discoverer of the HIV virus now claim it cannot be the sole cause of AIDS? Why has more than ten years of AIDS research – costing tens of billions of dollars – failed to show how (or even if) HIV causes AIDS or attacks the immune system? He points out that, as in the case of the vaccination program, there has never been a true trial of untreated vs. treated (with current cocktails) outcomes in the setting of HIV positivity. 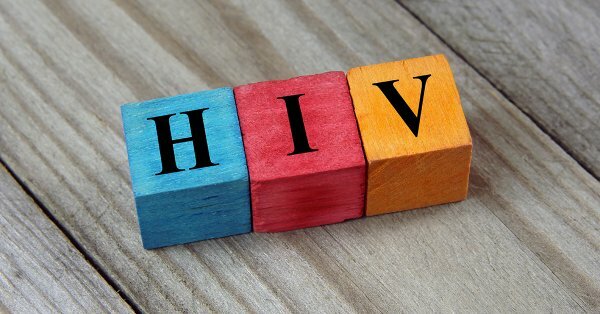 Additionally, because medications with unacknowledged toxicity lead to new and separate diagnoses and medications, it is no surprise that a diagnosis of HIV and associated antiretroviral treatment can lead to a number of psychiatric diagnoses and associated medication-based interventions. In my days of conventional psychiatry, I authored an indexed paper on the complexity of applying psychiatric medications to the vulnerable population of individuals labeled with HIV/AIDS. Toxic medications beget toxic medications. Is it possible that, like psychotropics, these medications themselves are exacerbating, propagating, and even inducing the very syndrome they purport to resolve? While I recognize the hypocrisy in using my mind to help unearth truths while proclaiming our fundamental limitations as thinkers, there is an abuse of ideas, and it is the people who blindly accept them who are experiencing harm and suffering where there might have been something entirely more benign if we just gathered more information. Information not corrupted by a profit-driven apparatus that puts its gains before our welfare. Through the lens of human ecology, we see that forcing a system to adapt to a pharmaceutical grade chemical is a misguided assault on their very humanity. We must protect our most vulnerable from this assault, lest we look back on these transgressions with blinding shame.
? Meet David Goggins – The Man Who Sought Strength Through Suffering Long Term Depression May Cause Permanent Changes to the Brain ?